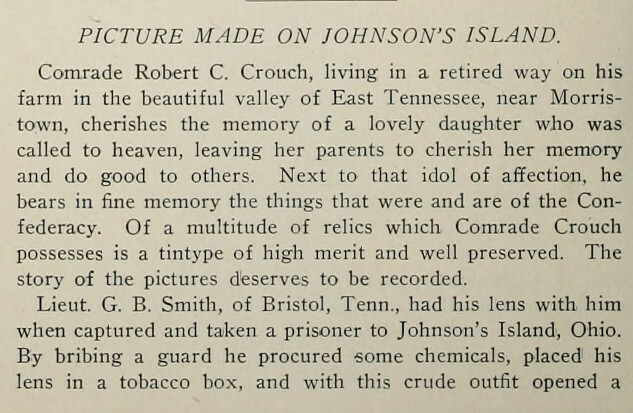 " Genealogy - Robert C. Crouch - G. B. Smith - Johnson's Island, Ohio - Bristol, Tennessee. Photo of Robert C. Crouch, Tennessee, Taken At Johnson's Island, Ohio. 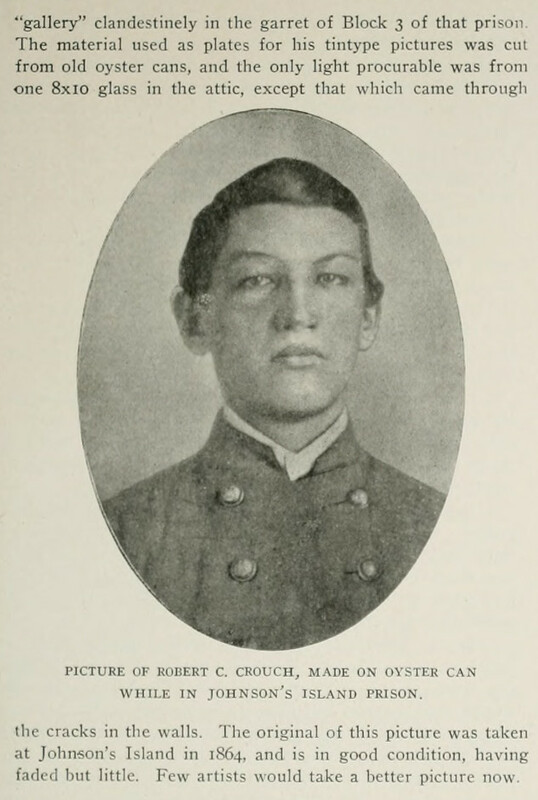 SOURCE:Confederate Veteran Magazine, January, 1909.